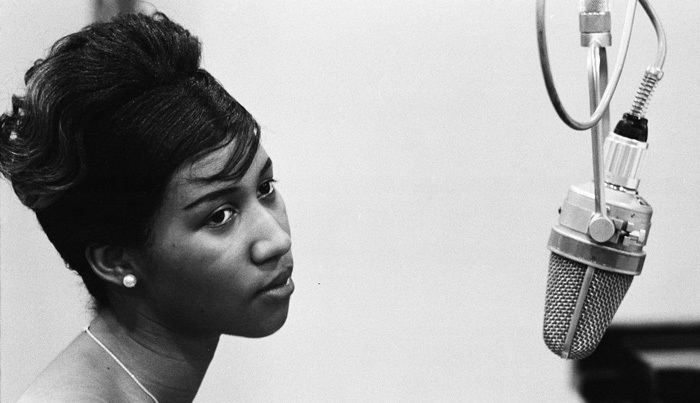 Aretha Franklin is an American singer and musician. Often described as “The Queen of Soul” and “Lady Soul”, she has been an influential figure in popular music for more than five decades. A winner of 18 Grammy Awards and various other accolades, she is frequently cited as one of the greatest and best-selling female artists in the history of recorded music. Franklin has sold more than 75 million records worldwide. Born in Memphis, Tennessee on March 25, 1942, her father was a famous preacher and gospel singer, while her mother was an accomplished piano player and vocalist. Franklin grew up in Detroit and began singing in church with her sisters at a young age. Her parents had a troubled marriage, and they were divorced in 1948. Her mother died a few days before her tenth birthday. Franklin learned to play piano at an early age. She was heavily influenced by her father’s emotionally-driven sermons, as she debuted with the hymn “Jesus, Be a Fence Around Me”. Her father served as her manager and also secured her a recording deal with J.V.B. Records. She released her first album, Songs of Faith, in 1958. Aretha Franklin was discovered by noted record producer and music critic John Hammond who signed her to Columbia Records in the early 1960s. After a moderately successful stint, she signed to Atlantic Records in 1967. Her career really took off with a string of hit singles on the Atlantic label that cemented her legacy around the world. Heavily influenced by singers such as Sam Cooke and Ray Charles, Franklin added the warmth of gospel music to decisively secular songs like “Respect”, “Chain of Fools”, “(You Make Me Feel Like) A Natural Woman” and “Think”. She released a number of top ten hit singles during the early 1970s, including “Spanish Harlem”, “Rock Steady” and “Day Dreaming”. Franklin’s voice has been depicted as being a “powerful mezzo-soprano voice”. She has been widely praised for her vocal flexibility, interpretive intelligence and dexterous piano-playing. Aretha Franklin was honored with a medal from the Kennedy Center Honors and the NARAS Lifetime Achievement Award in 1994. She received the National Medal of Arts in 1999, and the Presidential Medal of Freedom in 2005. Aretha Franklin has been married twice. She married Ted White in 1961 and filed for divorced in 1969, citing domestic violence. She married her second husband, actor Glynn Turman, in 1978. The couple divorced in 1984. Franklin has four sons, namely: Clarence Franklin, Edward Franklin, Ted White Jr. and Kecalf Cunningham.